New research also found that more Irish men are dying from melanoma skin cancer. THERE HAS BEEN a rise in the number of Irish people getting cancer- however survival rates have improved significantly in the last 20 years. That’s according to the latest figures from the National Cancer Registry. It shows there are more than 30,000 cases of the disease in Ireland every year. However, survival rates are up from 72% to 81% for breast cancer and from 69% to 91% for prostate cancer. The report looked at the number of people who were diagnosed, treated and died from all forms of cancer between 1994 and 2012, particularly focusing on 2010 – 2012. It stated that lung cancer was by far the single most common cause of cancer death during the two years – approximately 1,800 people died annually. However, the rate is falling in men while women have a far greater chance of dying from lung cancer – the research found that lung cancer deaths for women in Ireland are 34% higher than the EU average. Men started to cut back on smoking in the ’80s, but the reduction in women didn’t occur until the 1990s and that’s reflected in the figures. About 8,800 people died from cancer annually during 2010-2012 – that represents about 30% of all deaths in that period. While lung cancer is the most common form – the other cancers causing most deaths over the two year period were colorectal (990), breast (680), prostate (550) and pancreatic cancer (490). Compared with the EU as a whole, estimated cancer mortality rates in Ireland in 2012 were 14% higher for Irish women but were 9% lower for Irish men. Cancer remains the second most common cause of death in Ireland, after diseases of the circulatory system. Doctor Comber added that the causes of increased cancer rates are long established. “Some of the well known factors in getting cancer are being overweight and obese, which has been known for quite some time to be a risk factor for cancer. Also sunlight exposure, which again has been on the increase quite a lot over the last 20 to 30 years, and alcohol consumption, which as everybody knows has also increased. There has been an increase in the number of Irish men dying from melanoma skin cancer. The incidence rate has jumped by almost 5% since 1994 and the death rate has increased by 6%. Email “Lung cancer is killing 34% more Irish women than the EU average ”. 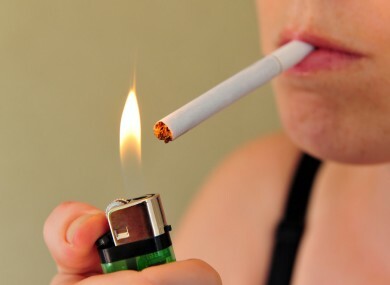 Feedback on “Lung cancer is killing 34% more Irish women than the EU average ”.